Manufacturers wind up with a major hassle: coordinating dozens – if not hundreds – of parts vendors. And when one or two suppliers mess up, production comes to a costly halt. One of the smartest ways for OEMs to do more and make more with lower costs is to outsource assembly and subassembly processes and utilize turnkey assembly. What are the advantages? They’re multiple and meaningful. 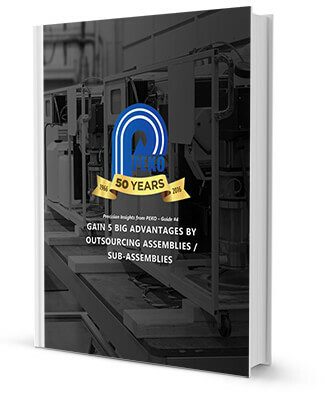 Download this guide to learn how to slash costs and assure productivity by outsourcing assemblies / sub-assemblies.